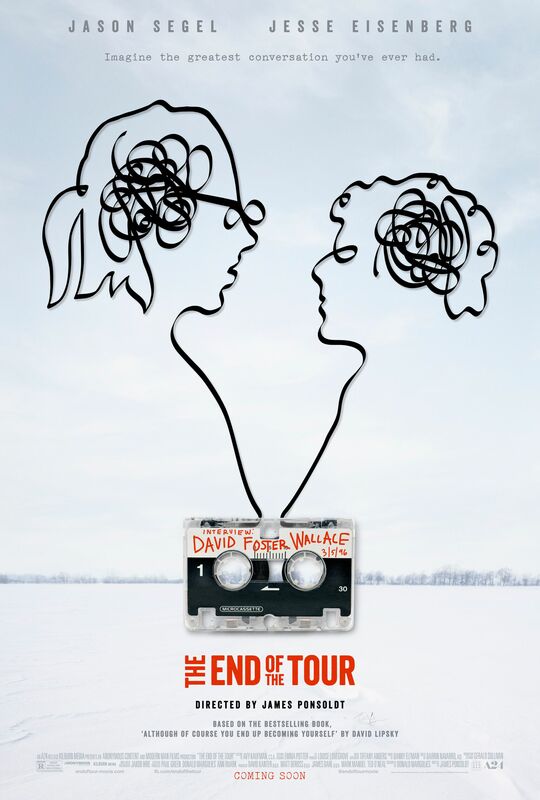 The first official trailer and poster for the Sundance hit, “The End of the Tour” has arrived! The movie stars Jesse Eisenberg as Rolling Stone reporter David Lipsky and Jason Segel as distinguished novelist David Foster Wallace. Based on Lipsky’s memoir, Although Of Course You End Up Becoming Yourself: A Road Trip with David Foster Wallace, the story follows the relationship of reporter and subject in the span of five days as Lipsky interviews Wallace after the publication of his magnum opus, Infinite Jest. The poster asks us to imagine the greatest conversation we’ve ever had, and from this first look, it seems as if it won’t be too difficult to conjure up because we’ll be witnessing it thanks to the evident chemistry between Eisenberg and Segal as well as the direction of Sundance Veteran James Ponsoldt and the writing of Donald Margulies. Check out the trailer below!